Do you want to be king of your chicken wing castle? Deep fry a batch of wings before tossing with your favorite dry rub and melted butter. 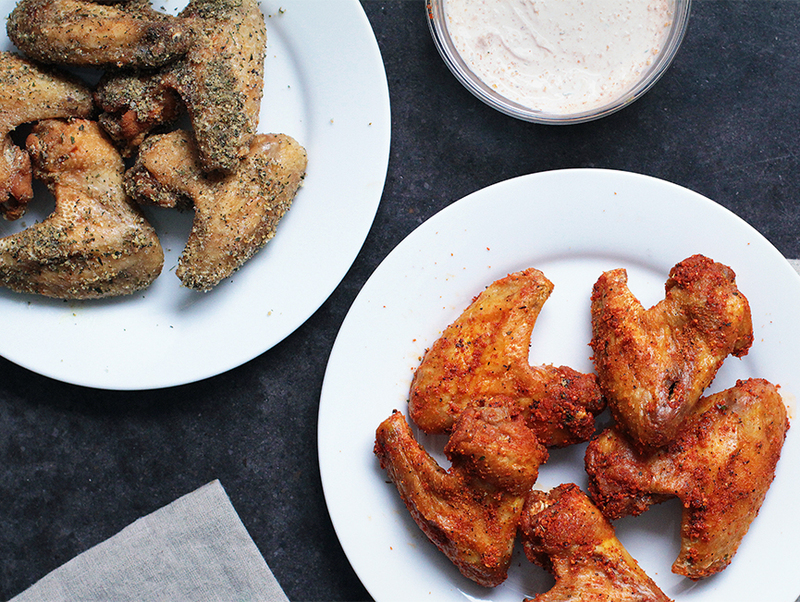 Chicken wing supremacy is really that simple. Here, I’ve used two different types of dry rub—one with herbs, garlic and onion, and another with chile powder and lime—but this recipe works just as well with anything you have on hand, from Cajun seasoning to Memphis-style barbecue dry rub. If you’re not in the frying mood, check out my recipe for grilled wings with apricot-mustard glaze or these one-pot Chinese sticky chicken wings. In a large heavy pot or wok, heat peanut oil to 385 degrees F.
Cut the wing tips off of the chicken wings. Working in batches, fry the wings in the oil until browned, crispy and cooked through, about 10 minutes. Add dry rub of choice to a large mixing bowl. When the wings are cooked through, add them to the bowl and toss with the seasoning mix and melted butter. I like to serve fried chicken wings with a dipping sauce of sour cream, Cajun seasoning and a splash of vinegar. Give that a shot, or put out a bowl of your favorite blue cheese or ranch dressing.